I, like every other fashionistah, love a deal. That is, until it’s inconvenient, then I will pay for simplicity. I get that from my dad. It’s a curious balance between pining after items to go on sale and splurging on 1st class: service, pleasantries…boxes and ribbons. Thus, my conflicted relationship with the outlet mall. Marketing (official ads, unofficial word-of-mouth) informs us that there are gems to be uncovered, and bragging rights to be won. Unlike the average shopper, however, I analyze my experiences and expectations, and modify my future behavior to maximize my benefit (potential deals) and minimize my cost (annoyance, time). You should skip shopping at an outlet mall this season (or ever) for a few reasons. I have rubbed many of the items they sell between my own index finger and thumb, and gurrrrrll: this isn’t your mom’s Gucci. Outlets were popularized on an assumption of the deal. Production overruns, things that didn’t sell in mainline stores, or items that were pulled from shelves for whatever reason, are all sold at steeply reduced prices – away from major shopping metros, to not compete with mainline stores. A $500 dress for $100, or a luxury handbag at 90% off (gold in shoppers’ eyes). Markups on all things fashion and retail are quite large to begin with, so there is plenty of room to go down in price before an item is sold at a loss. Problem is, this assumption is no longer accurate for many outlet malls. 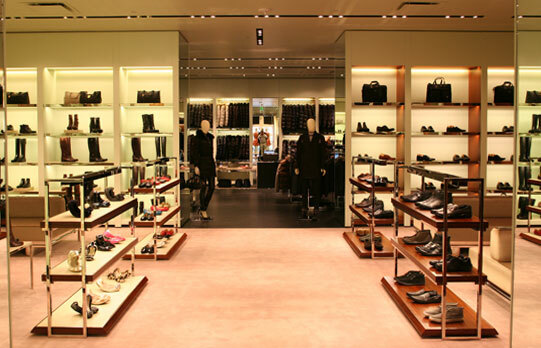 Instead of selling the same product you might see in a mainline store (or which was originally intended for such), many popular brands produce a lower-quality product specifically for the outlet mall stores, including J.Crew, Saks Off 5th, etc. There are more outlet malls than before. New ones, expanded ones. They are one of the fastest expanding segments of commerce. 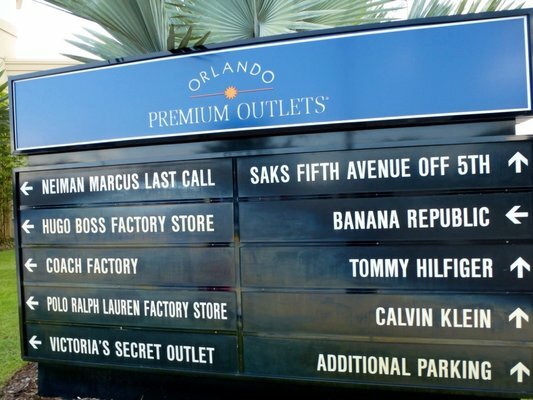 Outlets have always existed in key markets, like outside Los Angeles (Cabazon), New York (Woodbury Commons), and in Florida (Orlando) – but now they are pervasive. In Tampa, Nordstrom Rack opened in a former Toys R Us last year, not 5 minutes from a mainline Nordstrom; it enjoys a steady stream of deal-seekers. From a demand side, this makes sense. The recession put a serious dent in consumer spending for the middle 80% of households. Many families cannot spend the dollar amount they once could, or buy the brands they once wore. This is the sad state of our inflated, undereducated, overpopulated economy (I’ll avoid that soapbox for now). Brands like Banana Republic and Barney’s are meeting consumers halfway, with identically branded items that are not identical in quality, so that they can sell at a lower price point and offer ‘deals.’ Items sold in outlet stores never see the inside of mainline stores, and vice versa. UGH. Another reason to avoid outlets altogether: online or mainline store seasonal sales deals are better than standard outlet prices. 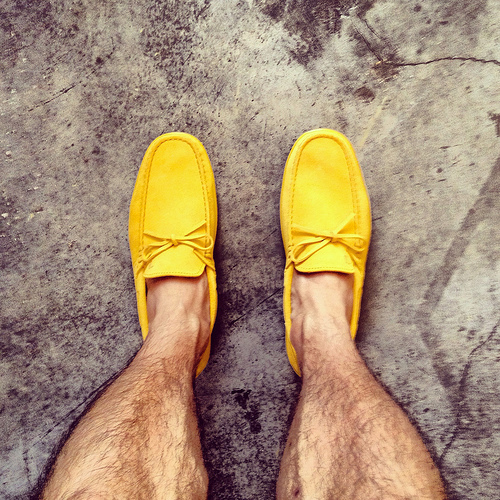 For instance: my yellow Tod’s boat shoes were originally $455. I found them during a sale at Barneys.com for $180 (-60%). Hardly something I would stumble upon at the outlet, and even then, the Tod’s outlet sells similar shoes for more like $270. Buy from Barneys.com…you get free shipping too. Which is another problem with the outlet mall: thanks to their surge in popularity, getting in and out efficiently can be tedious. From an opportunity cost perspective, the time you waste battling for a parking space and digging through racks may outweigh the potential deal you’ll get (see where I’m starting to reject the gospel?). All this is to say: be aware. Be discerning, and scrutinize your total cost. Weigh the cost to the benefit. Be an educated consumer! 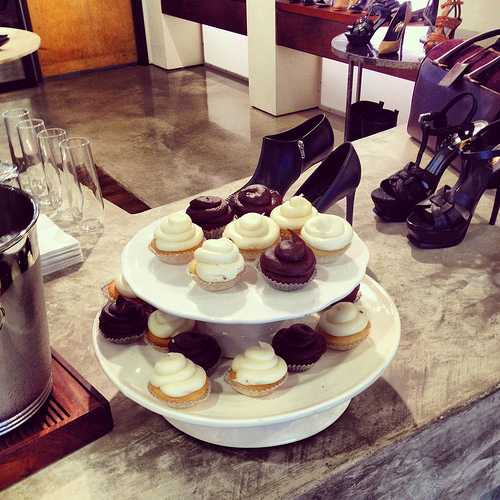 If you look at retail from a higher level, it’s clear times have changed. Sites like GILT have risen (with similar promises of deals that I find very questionable), outlet malls have proliferated, while hallowed names have struggled. Many brands and department stores are now publicly-traded companies, and they cannot promise constant growth if demand (the economy) isn’t strong. Thus, this shift. 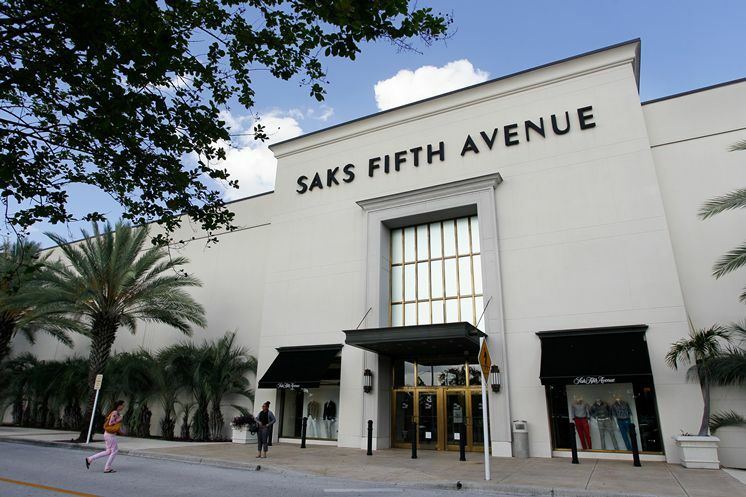 Saks Fifth Avenue recently closed its two-story store in Tampa, open since 2001, to be effectively replaced by an outlet in suburban Tampa (Cypress Creek Town Center). Similar situations exist in other cities. In other words, retail wastelands. 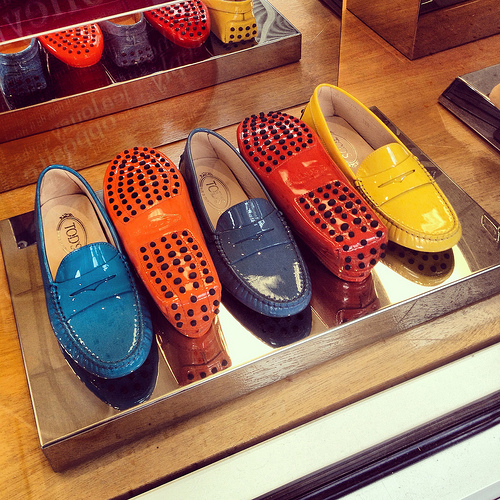 Prada outlet in Orlando – where I found a ‘deal’ on made in Indonesia sneakers for $300. Excuse me…? I have the ShopStyle iPhone app, which allows me to (obsessively) browse or search for thousands of items, favorite them, and arrange sale alerts for when they go on sale online. I also subscribe to probably 50 daily e-mail alerts from my favorite retailers, which typically announce big sales. Otherwise, I learn to buy less, and think quality over quantity. This is a positive strategy for my savings account, for my style, and for the global environment. We should all be thinking before we rush out to buy, especially when the perceived savings is spotty at best. And, if you want to ignore everything I have just said…that is fine. Another reason to skip the outlets now and forever is…shop local y’all. Use your buying power responsibly! Vibrant communities are built around local commerce, owned and supported by neighbors, friends, family, and word-of-mouth traffic. Don’t forget your dedicated, loyal local merchants this season. Tampa folks: see my map of local spots to hit for any shopping needs you have. 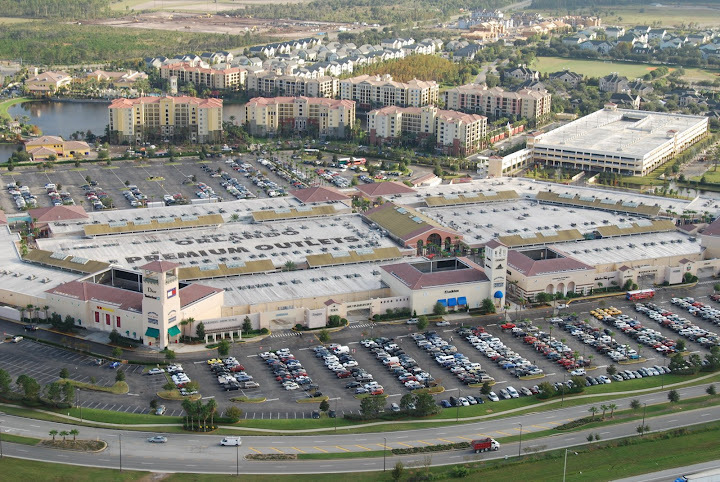 We need more high-end shopping in Tampa, but for now, we have plenty to choose from.